Onsite shredding is the most secure document destruction process for your business. Let us shred on site and benefit from peace of mind that important documents never leave the premises intact. 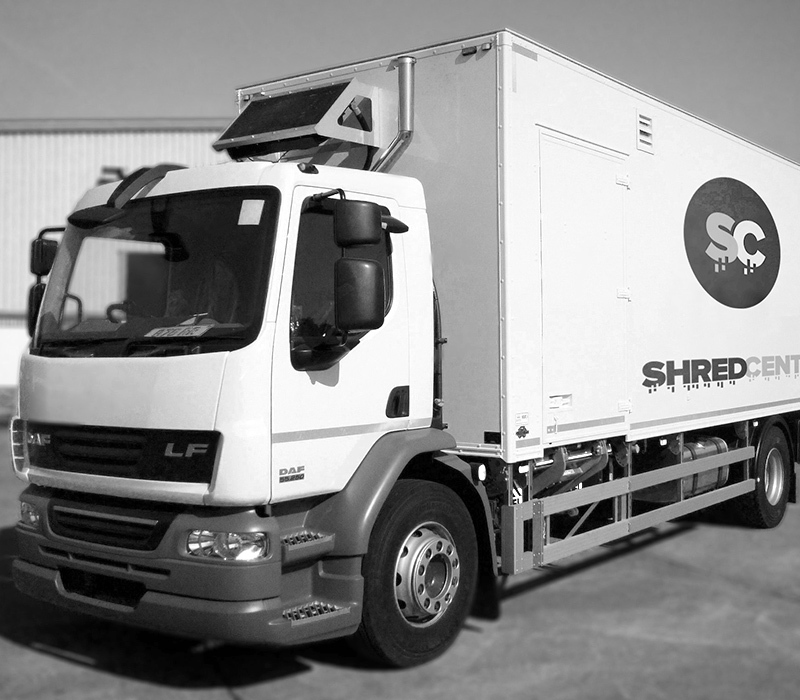 Why choose on site shredding? All organisations have a legal obligation to ensure they handle sensitive information appropriately. This responsibility extends to destroying documents containing confidential information when it is no longer needed or required. This may include payroll documents, expired contracts, HR files, legal correspondence and more. On site shredding is made possible through the use of our mobile shredding trucks. We bring the shredding equipment to you. Usually operating within an office parking area, we can quickly and efficiently shred on site. We combine this with trained and vetted on site shredding staff. This is a popular shredding service ensuring your documents only leave the building at the point of destruction, and never leave the site before they are fully destroyed. It is the logical solution when you are dealing with highly confidential document destruction. Peace of mind: all documents are destroyed before leaving the site rather than being transferred by vehicle to a shredding facility. 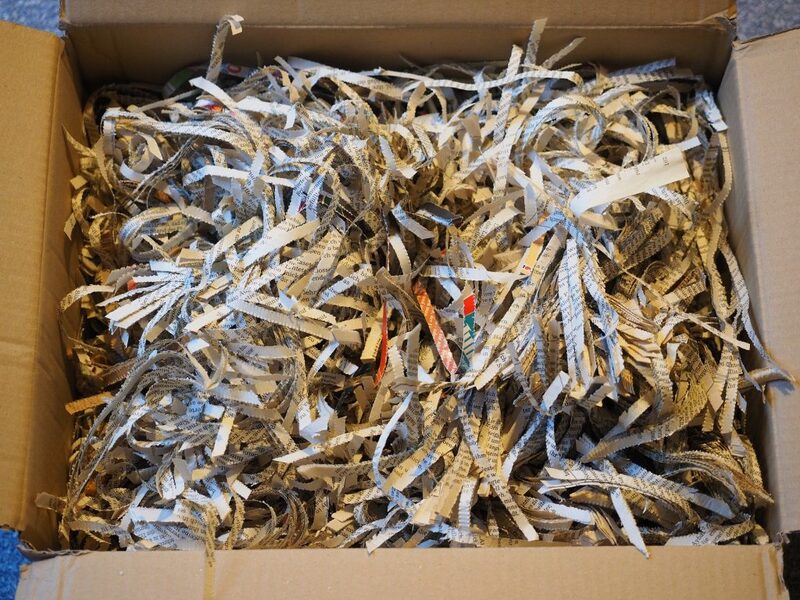 You can choose to oversee the shredding process if you wish, with minimal impact on your time. Efficient and speedy service: our mobile shredding vehicles can shred 1-2 tonnes of confidential waste per hour. Confidential service: Complete confidential service by BS7858:2012 security checked and DBS checked employees. Certificate of Destruction: A Certificate of Destruction is provided immediately and on site. Secure onsite waste storage: in advance of onsite shredding, you can store all documents to be shredded in an On Time Shred secure lockable bin or shredding cabinet. Environmentalism: Our mobile shredding vehicles meet the BS: EN15713-2009 standard and comply with EURO 5 or 6 emission standards. All shredded paper is recycled with a certificate to prove it. Flexibility and a bespoke service: We arrange onsite shredding at a time and place to suit you. Audit trail: Full confidential waste destruction audit trail provided. We are a national company committed to upholding your reputation for secure data handling. Utmost attention is given to our processes whilst remaining cost-effective. Our goal is to ensure you meet your compliance obligations with minimal hassle and minimal expense, without compromising integrity, security or environmental principles. We hold ourselves to high standards of integrity. This is achieved through a combination of experience, background checking of all staff, training and a culture rooted in the principles of trustworthiness, reliability and security. Furthermore, we understand that different organisations have different requirements. From a one-off shred to a weekly or monthly on site shredding arrangement, we tailor our service to your needs. Wherever you are in the UK, we can shred on site with our onsite shredding service. So that we can offer a cost-effective tailored on site shredding service for you, call now on 0330 333 1234, to arrange an onsite survey.